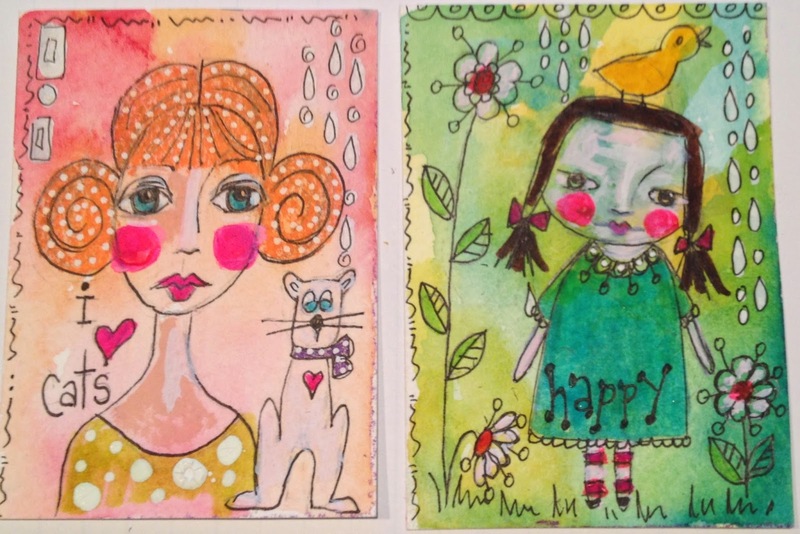 I don't often swap artwork although I've always thought it would be fun to participate in a traveling journal event.....maybe someday. 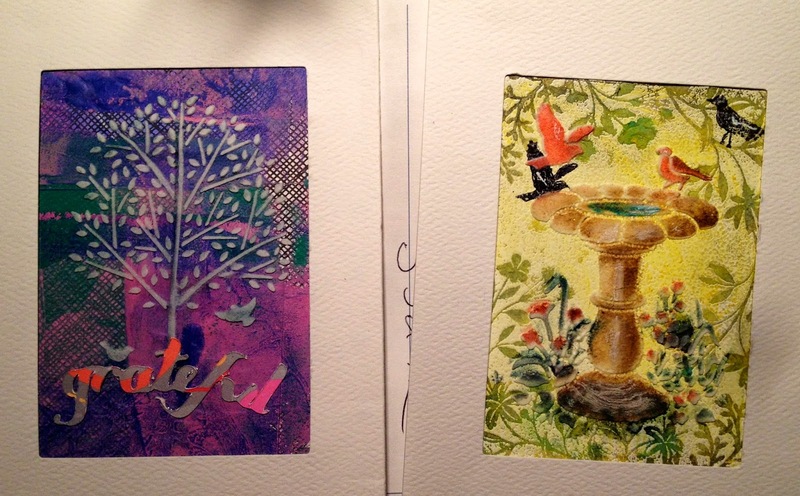 As part of LifeBook 2014 under the direction of Tamara LaPorte, I did take part in an ATC swap and received the lovely cards from artist and new friend Jane McMahon Lazenby. This was a good experience and I'd do it again. to the other participant, and throws the whole swap out of kilter. or let someone know that you have to drop out! Here are the I sent to Jane.